This module is a single bare PCB only. 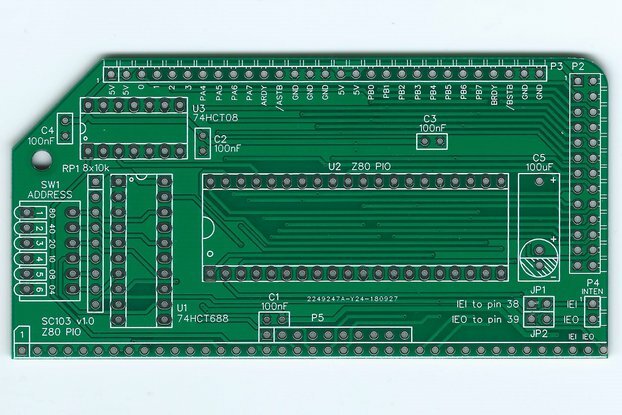 It features the freedom of dot-board with the convenience of strip-board to allow you to build your own RC2014 modules. The 39 x 19 matrix of pads (716 in total)features some pre-connected pins as indicated by the silkscreen. This makes it easy to connect to all the signals on the backplane and add either narrow or wide bodied ICs along the center. You will just need your own connectors, components and ideas! Buy 2 and save money! 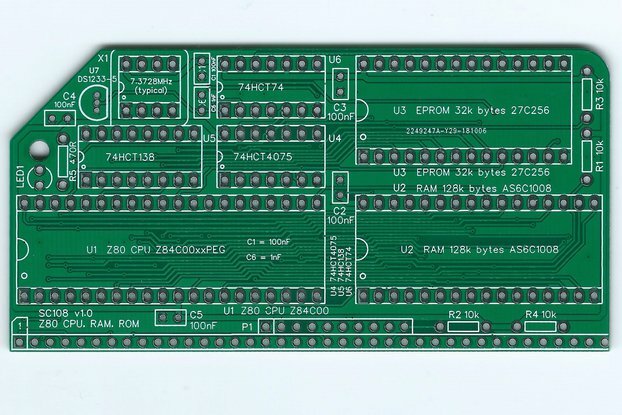 The board only connects to 39 of the RC2014 40 backplane signals. It is too narrow to accept the 40 pin header supplied. The missing signal connection is in the "SPAREx" signal group. So, if you do not need the last signal in this group, the board is still quite usable.